Both camps were confident. Jack Jarvis had a form line through his Gold Cup winner, Flyon, who had been beaten by Tricameron at Chester. Knowing how superior Blue Peter was, he was certain that his inmate would win. Furthermore he felt that Pharis’ confirmation would be unsuited by the firm going expected at Doncaster. 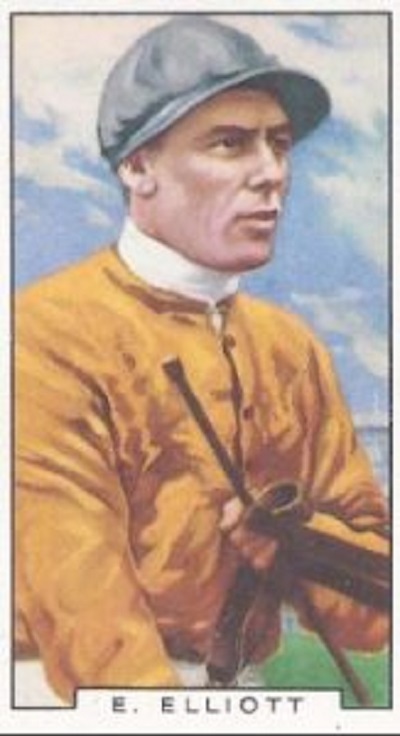 Jack Jarvis, who trained the winner of nine English classics and was three times champion trainer, considered Blue Peter to be the best horse he ever trained. In France they saw things differently. Blue Peter’s victory in the Eclipse suggested that he had peaked, whilst Pharis was still open to improvement. Rather than interpret collateral form they preferred to judge a horse on his racecourse accomplishments. Viewing Pharis’ brilliant performances, overcoming all sorts of trouble in running, they felt that their colt would come out on top. Elliott, who won fourteen English classics and every big race there was to win in France, considered Pharis to be the best horse he ever rode. As for Blue Peter, he sired only two classic winners: Ocean Swell, winner of the Derby and Gold Cup, and Botticelli, winner of the Triple Crown in Italy and the Gold Cup. His other significant winners were Blue Train, winner of the Newmarket Stakes, and Unknown Quantity, winner of the Yorkshire Oaks. Blue Peter’s daughter, Glen Line, produced an Eclipse winner, King of the Tudors, and Our Babu, winner of the 2000 Guineas. 1 Ardan (Prix du Jockey Club and Prix de l’Arc de Triomphe); Asterbute (German Derby); Scratch II (Prix du Jockey Club and St Leger); Stymphale (French St Leger); Auriban (Prix du Jockey Club); Philius (Prix du Jockey Club). His daughter, Corejada, won the French 1000 Guineas and Irish Oaks, bred Apollonia, successful in the French 1000 Guineas and Oaks, and Marcip, a Gold Cup and French St Leger winner. Originally published on the National Heritage Centre for Horseracing & Sporting Art‘s Blog, and reproduced with their permission. Part one can be read here.